Muslim students are increasingly finding a home at American Catholic colleges, valuing these institutions’ greater openness to matters of faith, writes Kristin Whitney Daniels in the National Catholic Reporter (November 4). “Although making up a relatively small percentage of students at all schools, Muslim student enrollment at Catholic colleges has increased significantly since 2010, according to the annual reports on enrolling freshman from UCLA’s Higher Education Research Institute.” In 2010, students who identified as Muslim only represented 0.6 percent of the entering freshman class at Catholic colleges. By 2015, the number had more than doubled to 1.4 percent of first year students identifying themselves as Muslim. Some Catholic colleges have shown even higher percentages, such as Manhattan College in New York, the University of Dayton, Loyola University in Chicago, and, most dramatically, Benedictine University in Lisle, Illinois, where 20 percent of students identify as Muslim. Last year, the college hired its first Muslim faith advisor. The reasons behind the enrollment of Muslims in Catholic colleges vary, but the article finds that they tend to report less conflict and judgement in this environment than in secular settings. Students interviewed report a shared sense of community and principles in these colleges. Such a school as Manhattan College is based in the Lasallian order, part of whose mission is to welcome all faiths. The emphasis on student service to the community in these colleges also appeals to Muslims, Daniels adds. Many of these schools have active Muslim Student Associations (MSA) and allow for Muslim prayer spaces. 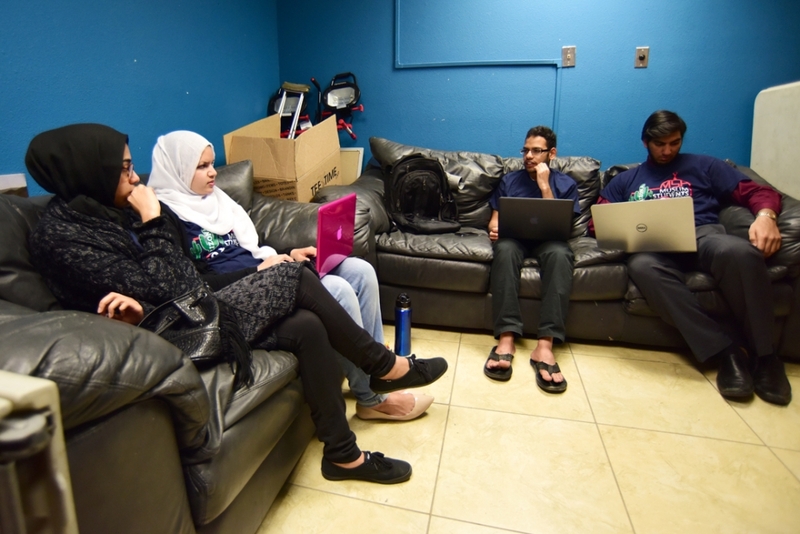 Aside from serving as support organizations, the Muslim Student Associations seek to educate non-Muslims about Islam. Some groups try to bring Muslims and Catholics together, as when the University of Dayton MSA hosted a discussion on Jesus and Islam.